The future of traditional TV continues to be threatened as more people opt to stream content using services offered by the likes of Netflix, Inc. (NASDAQ:NFLX) and Hulu. U.S consumers streamed an estimated 5.64 billion hours of content in the fourth quarter of 2014 a clear indication that all is not well in the traditional TV space, with the pressure expected to be more going forward. Wall Street Journal’s, Shalini Ramachandran, speaking on Fox Business pointed out that Cable TV ratings in the fourth quarter declined by 40% attributed to streaming subscriptions services. 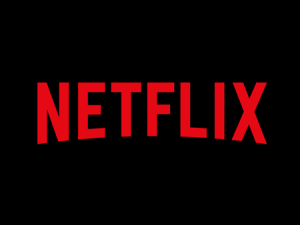 Mediatech Partners managing partner, Porter Bibb, believes the cable TV industry has reached its tipping point and will continue to lose substantial ground to streaming service offered by Netflix, Inc. (NASDAQ:NFLX) and Hulu. CBS Corporation (NYSE:CBS) and Time Warner Cable Inc (NYSE:TWC)’s HBO are all tapping into the fast-growing streaming business, a move that is sure to put more pressure on Cable TV networks whose viewership numbers are already down by 12% this year. “We have reached the tipping point in terms of linear television and it’s all going now in a huge rush; you have Sony with the Play station streaming service. […]The next 800-pound gorillas in the room are going to be the movie studios. They are going to realize that the DVD market has disappeared, and the Box Office is down, and they are going to be streaming their libraries,” said Mr. Bibb. The period of prolonged structural decline for traditional TV could be in for the long haul as more companies invest heavily in the streaming business. Content production units are expected to go to the likes of Netflix, Inc. (NASDAQ:NFLX) for the airing of their content depriving TV networks some of the most exciting and interesting content always sure to attract mass audience. Content providers are already entangled in a dilemma on whether to dump TV networks and deal with the likes of Netflix and Hulu, which have huge subscription base. There is no doubt that revenues from Cable TV networks will start to decline, forcing most of this content providers to switch their allegiance to streaming companies.